Bangkok (BK), home to 15 million people, is one of my favourite cities. It’s overwhelming in all the best ways: the heat and humidity (it’s said to be the most consistently hot city in the world), the 24/7 traffic, the noise, the skyscrapers, smells, lights, colours and culture. It pulsates with life and vibrancy and I can’t wait to return soon! I’ve put together a few tips for first-time visitors. 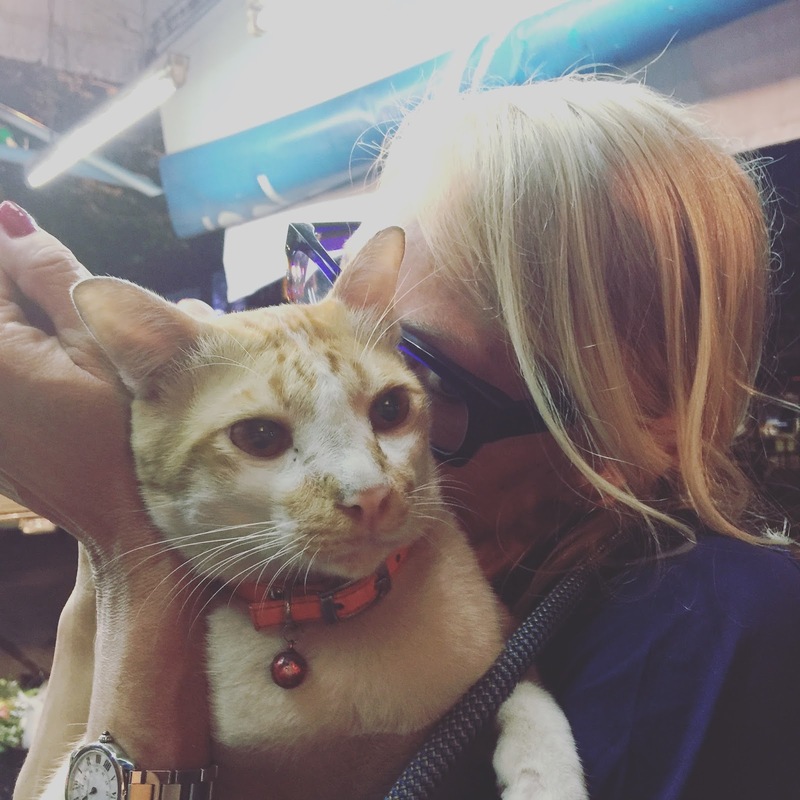 Check out a few of my fave things to do in Bangkok as well! * Keep an eye out for signage requesting citizens from Africa to fill out health forms and have a checkup by a medical team after disembarking. There will be stations for this near the arrivals hall. Note, the immigration queue is very long and it can take up to two hours to get your passport stamped. Helpful English speaking officials are everywhere though, with spare immigration forms if needed (you usually get given these on the plane). NB to Keep whatever forms you’re given until you leave Bangkok for home. as you will have to re-present them at Immigration). * Be courteous- women greet saying ‘Sawadee Kha’ and guys say ‘Sawadee Khap’. It’s also appreciated if you put the prayer hands together under your chin in response to the same. * If you’re worried about finding your way into the city from the airport, book a shuttle or cab through your hotel (can be pricey, up to 1200 THB) or take a taxi, and settle on a price before you get in. The fare shouldn’t cost you more than 400-500 THB into Sukhamvit – make sure the driver restarts his metre as well as some tend to ‘forget’ to do that. Uber (cashless) operates in BK but I’ve had really bad experiences with it, with most drivers not being able to speak English. If you do use the service though, opt for Uber Black. * If you’re confident re your directions and only have minimal luggage (I seldom pack more than cabin baggage as you can really travel lightly in Thailand), then take the airport train to Phaya Thai, and join the BTS (skytrain) to Mo Chit. There are always helpful officials to assist you. 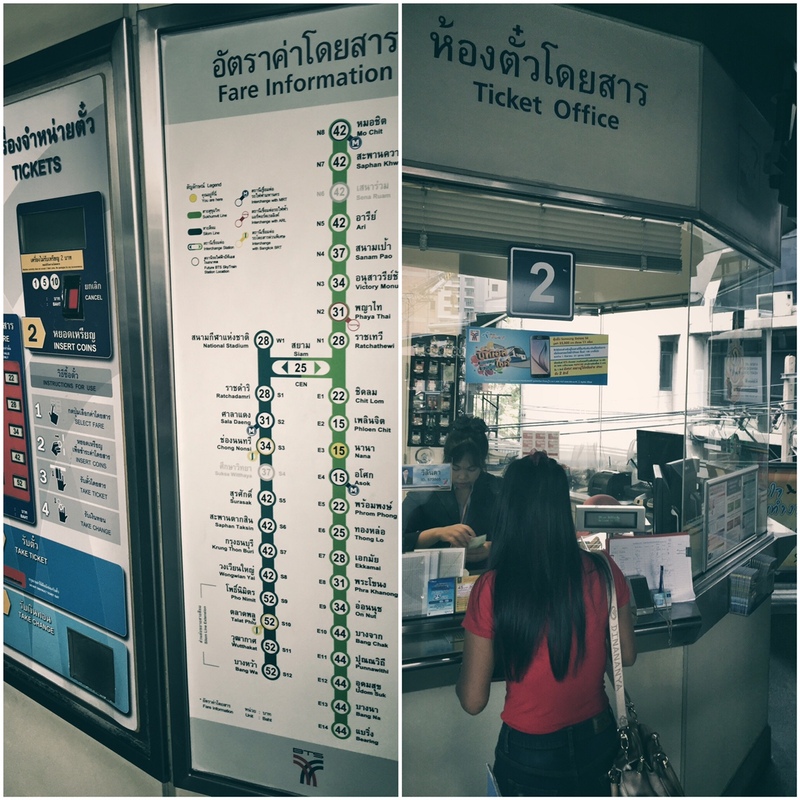 * The BTS Skytrain is the way to get from A to B in the city – easy and cheap. Buy day/week passes. Exchange bank notes for coins at the info booth and they will happily assist you with that and anything else you may need to know. *Water taxis on the klongs (canals) are fantastic. A day pass costs only 40THB and you get to see a side of Bangkok that’s often missed by tourists. Take a hop on, hop off ferry up Chao Praya to visit the many temples en route and side street markets along the way. It’s another fantastic way to explore the city. * Don’t eat on the BTS station platform or in the train. Keep your grub out of site. * Obey the yellow arrow markings on the BTS platform that tell you where to stand safely when Q’ing to get on the train; let passengers out before climbing on. 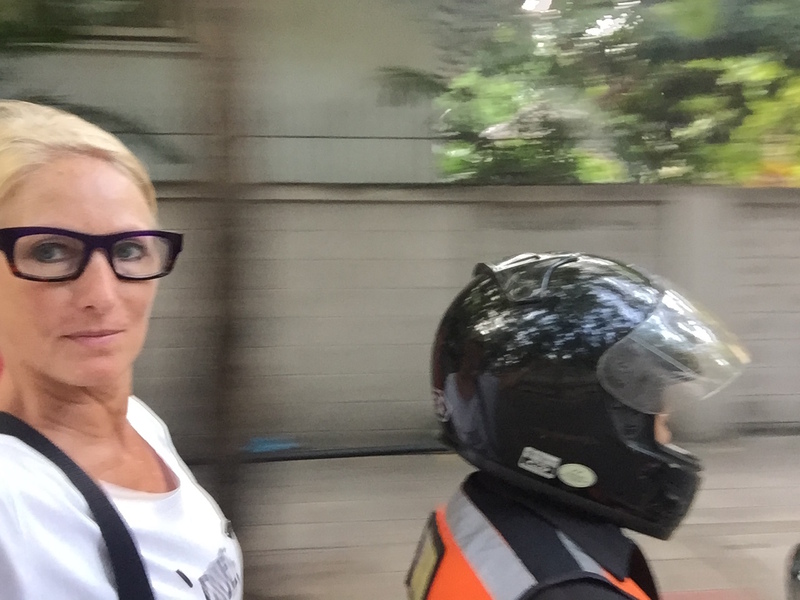 *Try a Tuk Tuk once for fun…but be prepared to bargain! * Choose accommodation close to a BTS (Skytrain) stop. I can recommend the Galleria 10 in Soi 10, Sukhumvit, right between BTS Nana and Asok – it’s stylish, well priced and has a fab rooftop pool, bar and deck. There’s also the @Mind Suites in Sukhamvit and, if you feel like splurging, book into Siam @ Siam– superb! * Those orange (naartjie type fruit) and pinky-red (pomegranate) drinks you see on sale on the street in the small skinny bottles are quite loaded with extra sugar fyi; let the trader make fresh juices and smoothies in front of you- delish! * Bottled water is best. I also use it when brushing my teeth and rinsing afterwards, just to be safe. * If that crown comes loose (G-d Forbid) and you need a dentist in a hurry, the Dental Hospital is very good-I’ve been and can vouch for the top notch treatment they offer. 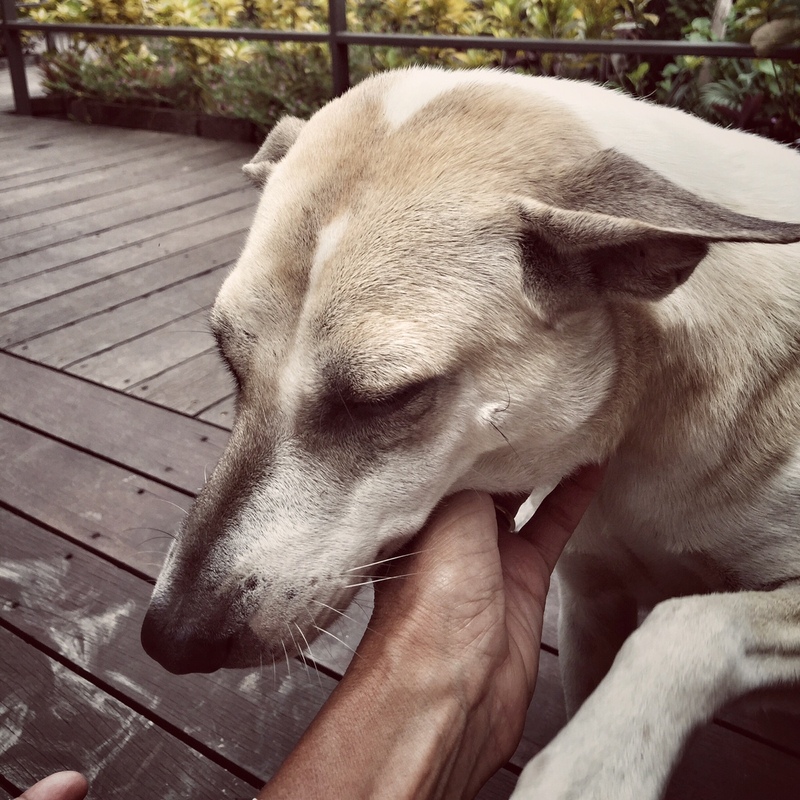 * There are many street dogs throughout Thailand and Bangkok is no exception. Many aren’t used to being petted; those with collars are usually ok but be cautious and check first with the person/owner nearest to the animal. I want to love them all but you need to approach carefully. * There is superb coffee throughout Bangkok, as good and sometimes even better than what’s on offer in Cape Town. Try Hello Strangers and Library for starters. 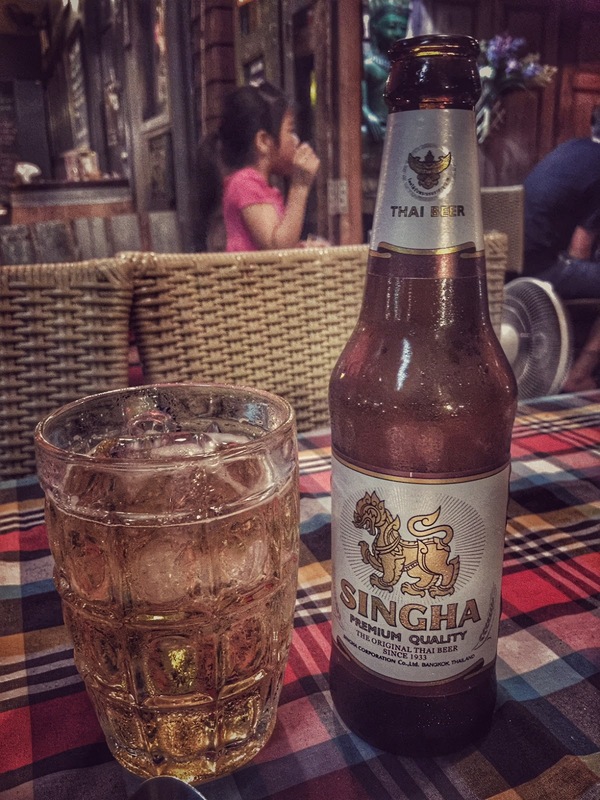 * Beer is nothing like what we’re used in Cape Town ie our fabulous home grown craft varieties, but go for Singha when in BK and make it even more refreshing by adding a few blocks of ice. Yes, trust me, with eish. * Amazing and well priced at around 300-400THB (R130-170) for an hour’s massage but first suss out how clean the therapy chairs are, before you sit down. *There is so much to do/see and I have loads of favourites. I love Chinatown – (check my post) for great food, coffee, rooftop bars, temples, markets, architecture and more. It’s an authentic experience. * Bring extra Ziploc bags and 100ml empty plastic bottles. You can’t find those easily in BK. * Re tipping, it’s not expected but why not show some love and do it anyway. * Leave your shoes outside establishments where it’s required. Never fear, they’ll be there when you go back for the them. Fortunately this is a country where stealing isn’t a national pastime. It has the longest ceremonial city name ever: Krung Thep Mahanakhon Amon Rattanakosin Mahinthara Yuthaya Mahadilok Phop Noppharat Ratchathani Burirom Udomratchaniwet Mahasathan Amon Piman Awatan Sathit Sakkathattiya Witsanukam Prasit. Messing about with a TV star..